Arrive, sit down, get going: you don’t need to spend ages setting the se:motion as it adjusts automatically to each user. 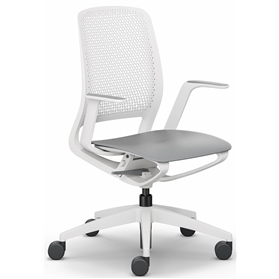 The dynamic initial impression created by the design is reflected in the flexibility which se:motion provides in the office. A spontaneous get-together at the bench? A brief glance at your neighbour? Simply roll on over. 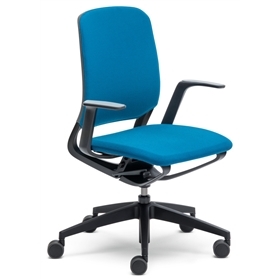 Given its handy changeable upholstery, se:motion can be customised in next to no time without the need for tools. se:motion emits a sense of dynamic lightness. Moreover, the style is far more than a mere design statement. 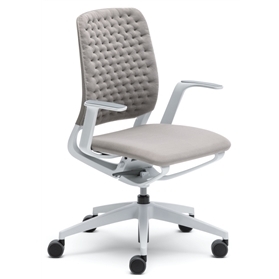 The perforated backrest not only sets visual accents, but also ensures elasticity and maximum sitting comfort. 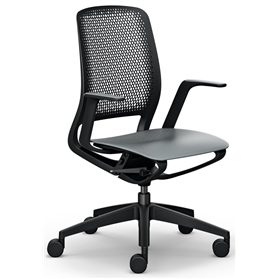 The same applies for the ideally positioned lumbar curve and the ergonomically designed seat with slim edges – the impressive looking design ensures both a good posture and mobility.